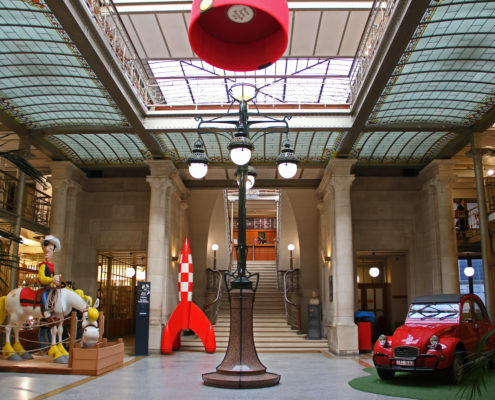 Brussels is well-known for being the seat of the European Parliament, its miniature theme park and its modernist Atomium. 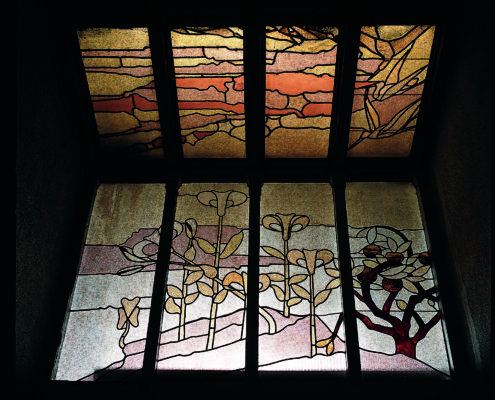 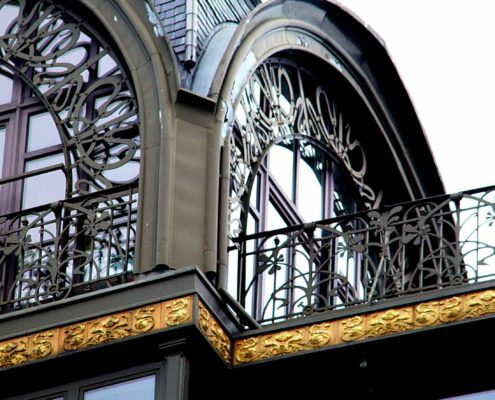 However, it is also a place where visitors can discover some of the best art nouveau architecture anywhere in Europe. 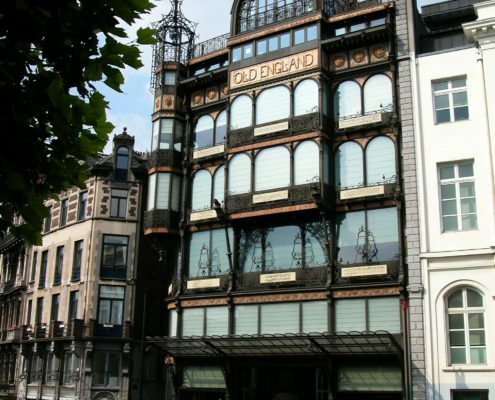 The vogue for art nouveau, which ran for a few of decades from about 1890, coincided with the construction of some of the Belgian capital’s finest buildings. 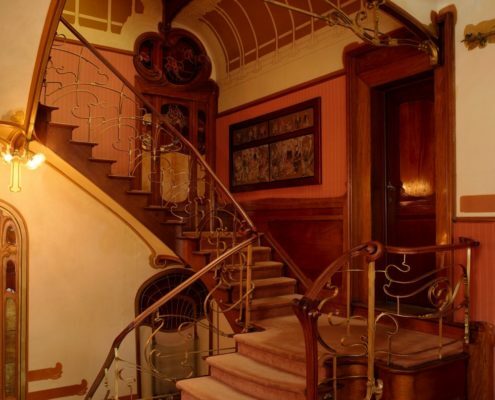 Visitors often miss out on these wonderful fin-de-siècle masterpieces, so why not take the time to visit them the next time you are in the city? 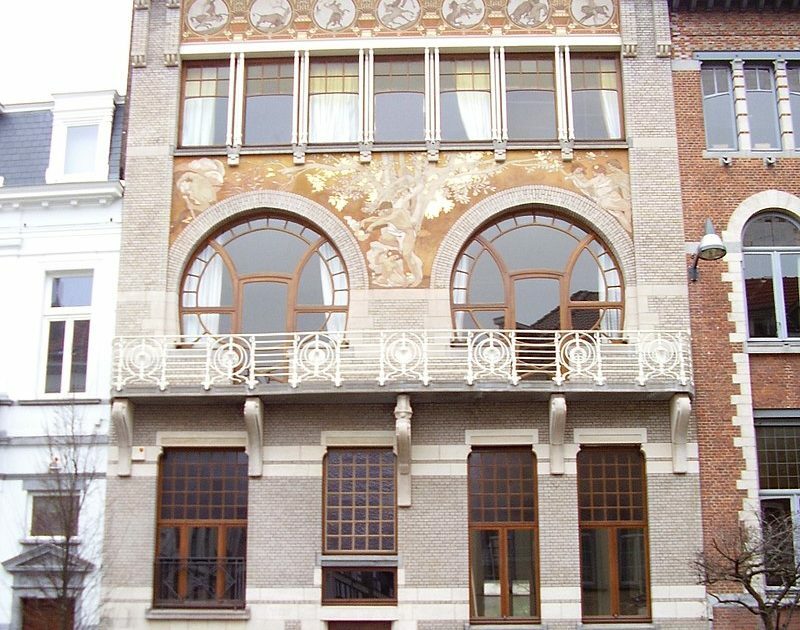 A townhouse situated a couple of streets from Josaphatpark, this fine example of art nouveau architecture in Brussels was built in 1893. 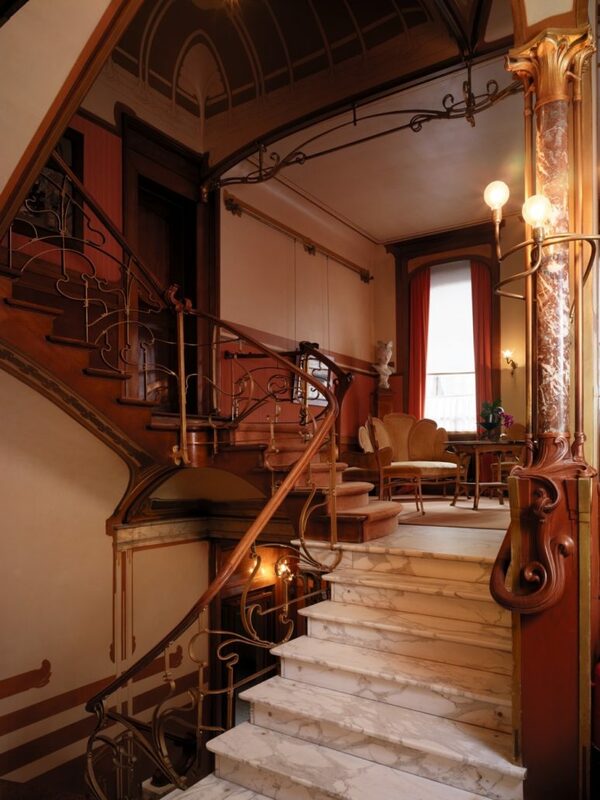 Open to visitors who wish to tour inside as well as marvel at its fine façade, the Autrique House is decked out with period furnishings and decorations. 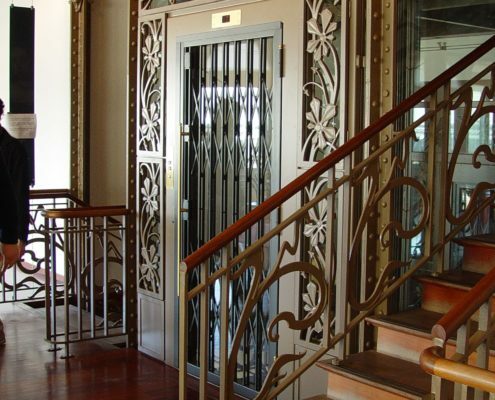 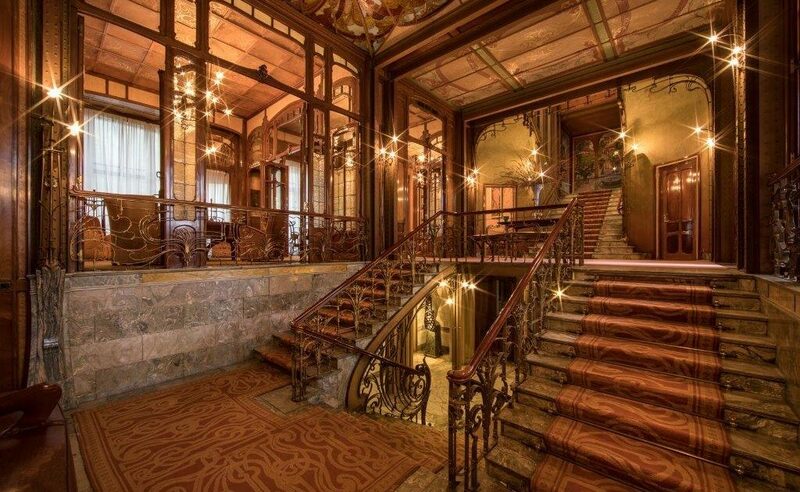 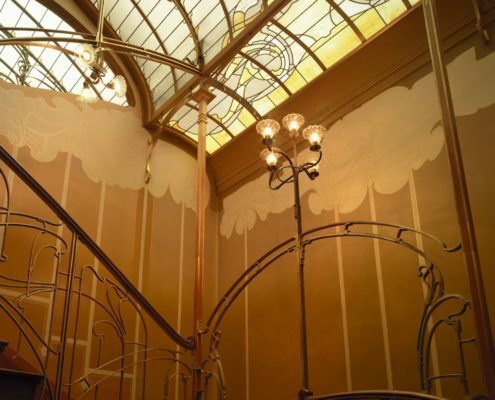 It was designed by the renowned Belgian architect and designer, Victor Horta. 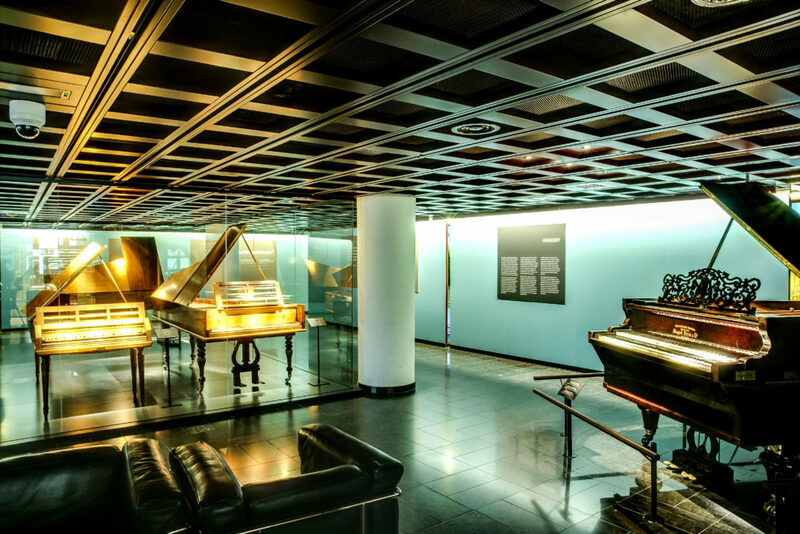 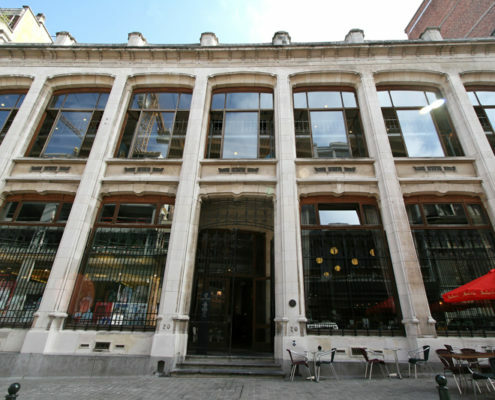 Often referred to simply as MIM, the Musical Instrument Museum lies a stone’s throw from the Palais de Bruxelles. 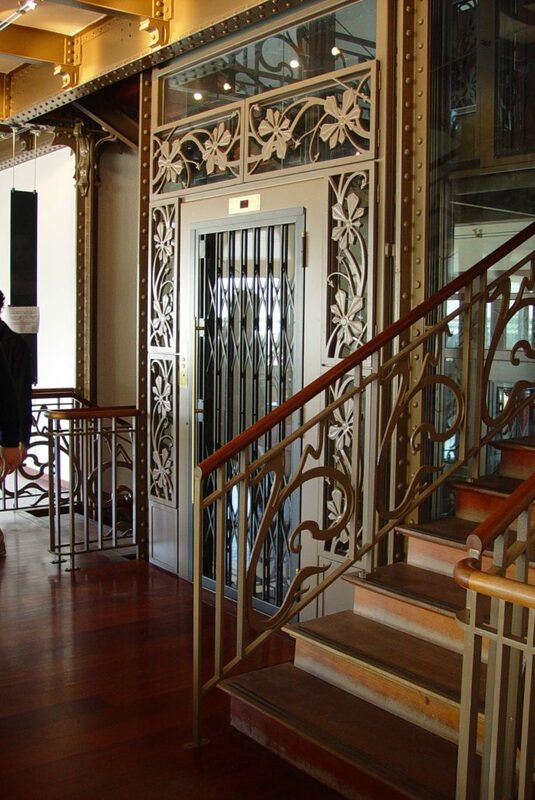 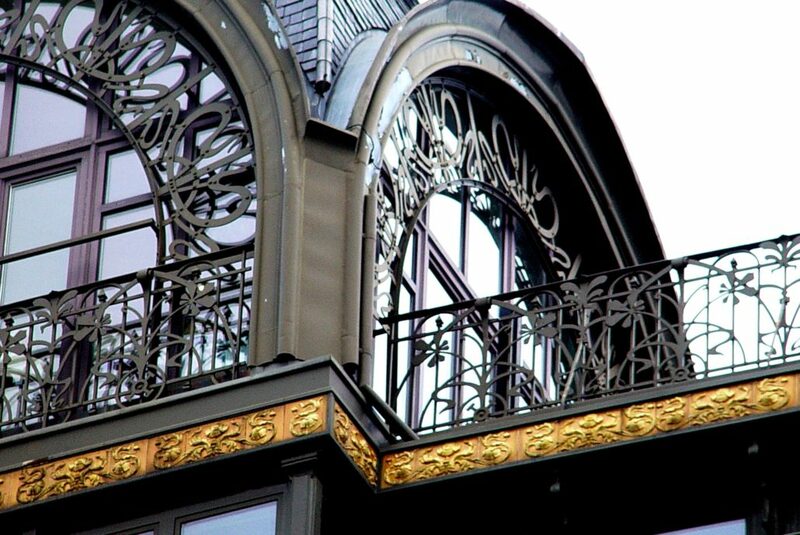 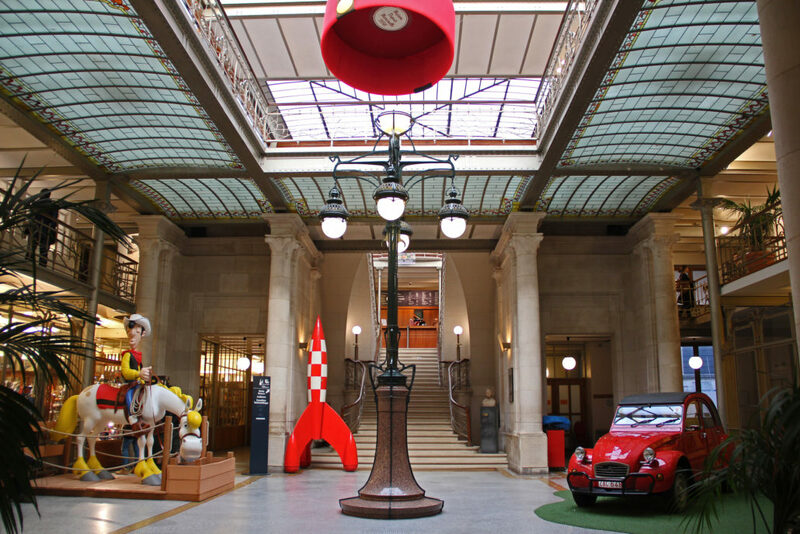 With one of the finest exteriors of any art nouveau museum in Brussels, MIM has an ornate metal structure. 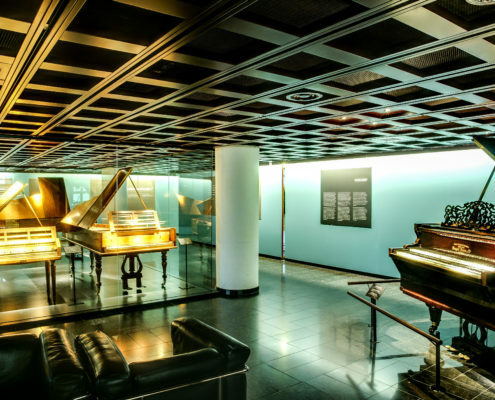 It houses thousands of musical instruments and it opens on a daily basis, except Mondays. 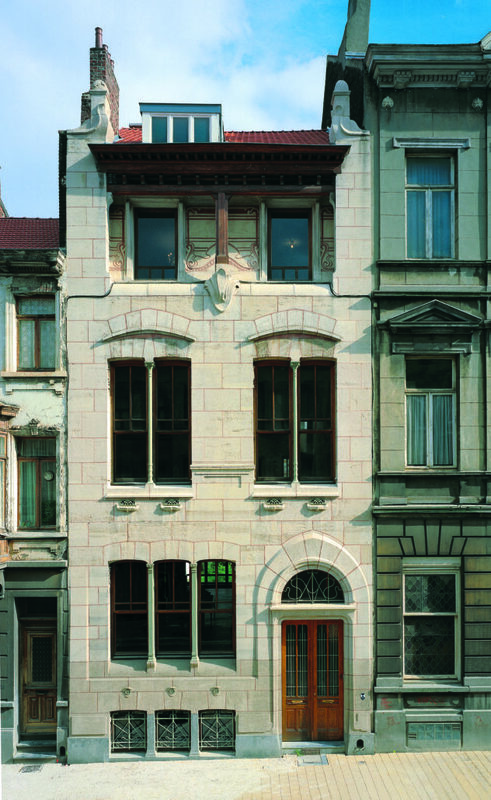 On the list of UNESCO World Heritage Sites since 2003, this residential building lies in the southern part of the capital. 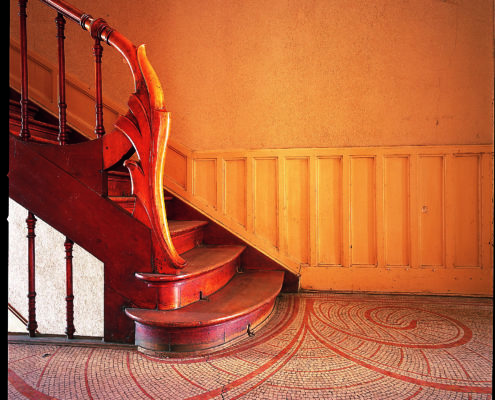 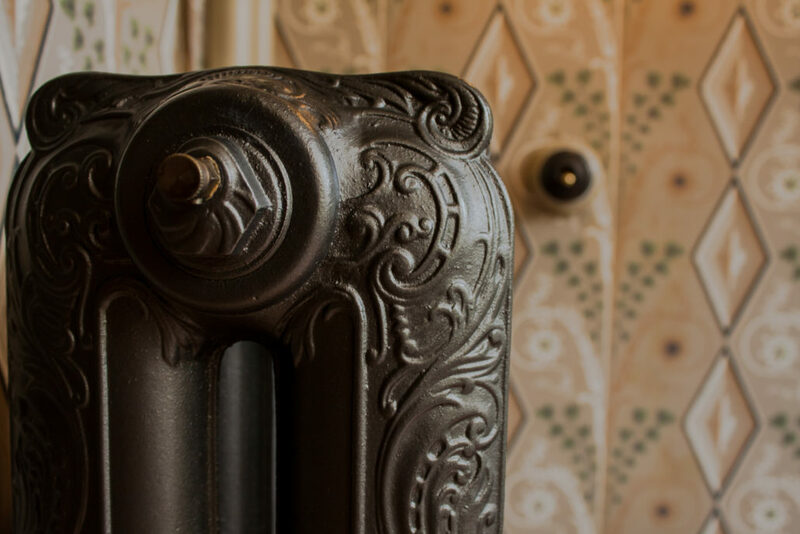 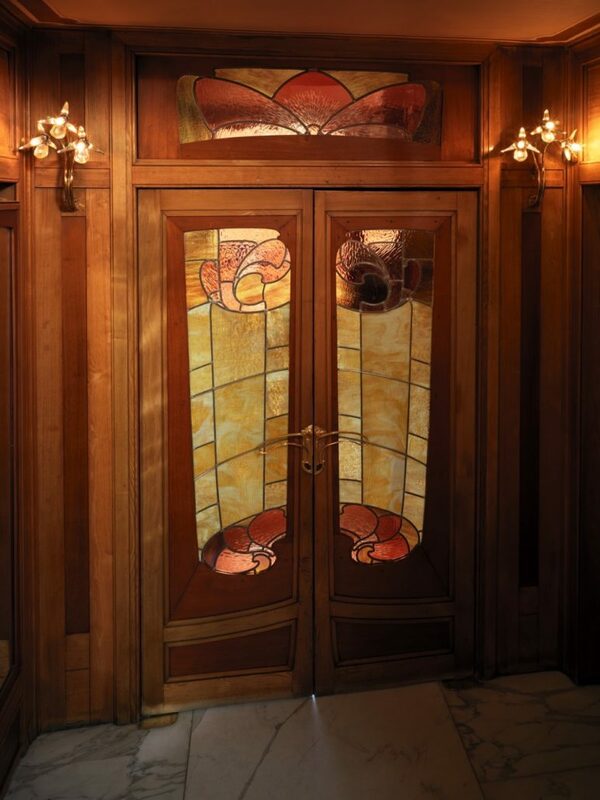 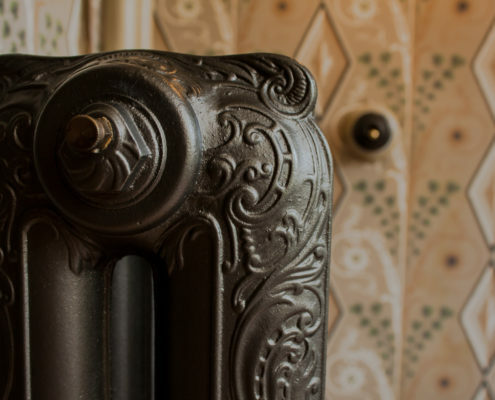 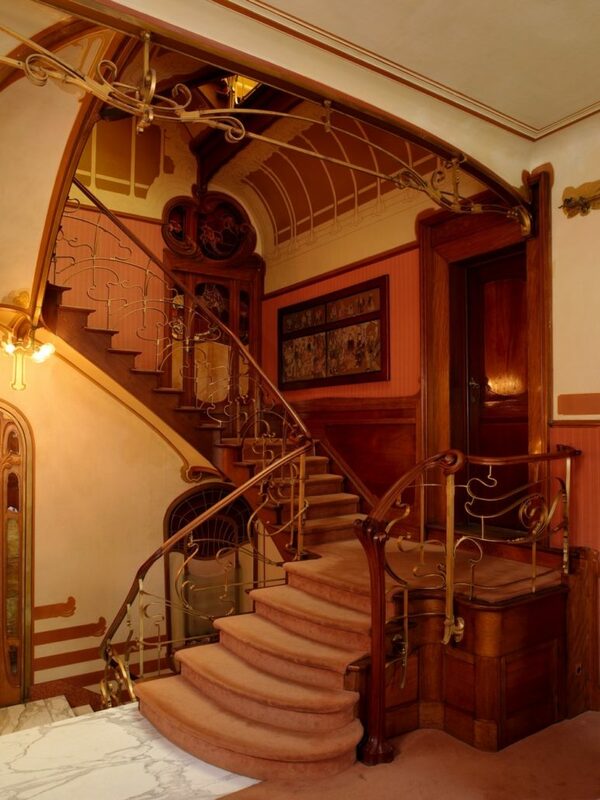 It offers a great example of how the style of art nouveau worked for people in daily life. 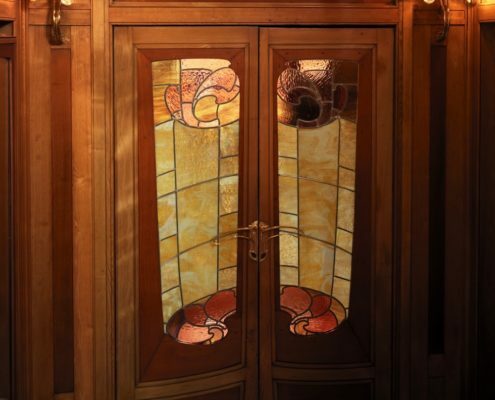 It is possible to go inside but only by prior arrangement with the current owner. 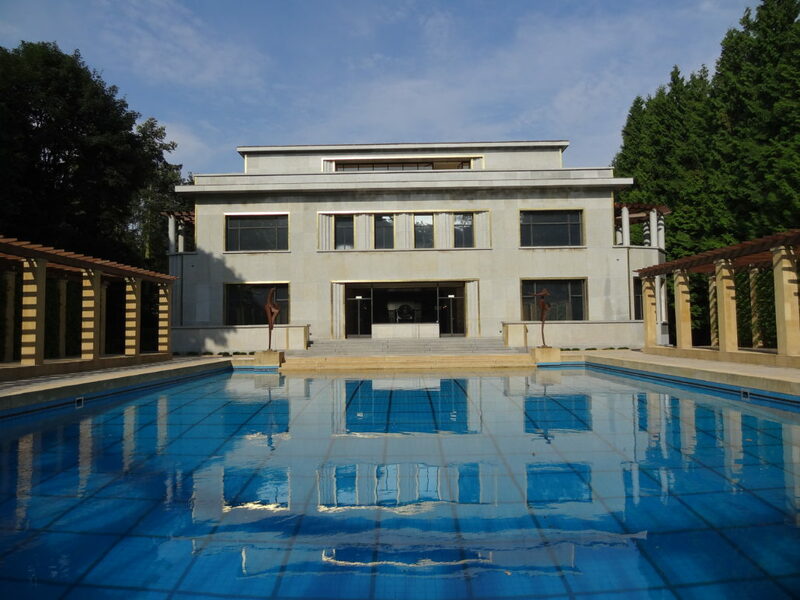 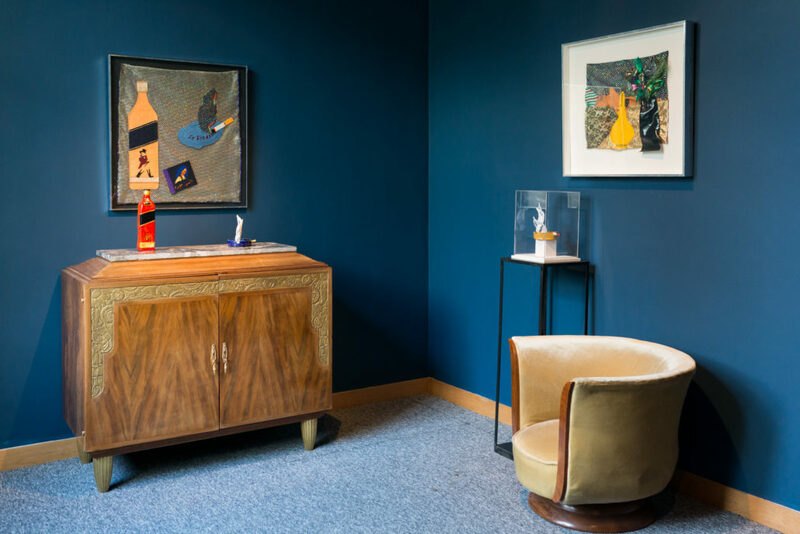 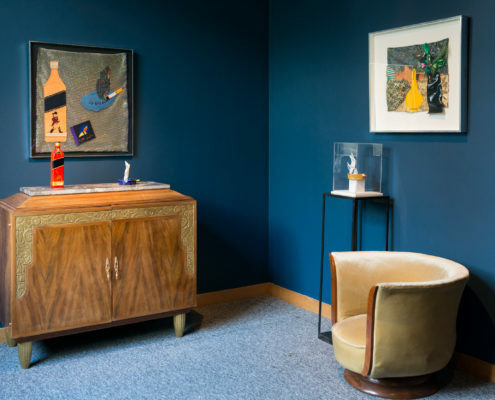 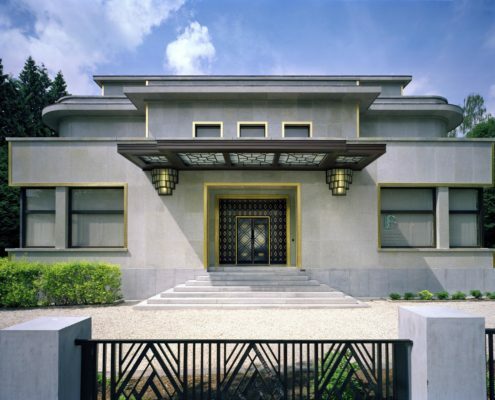 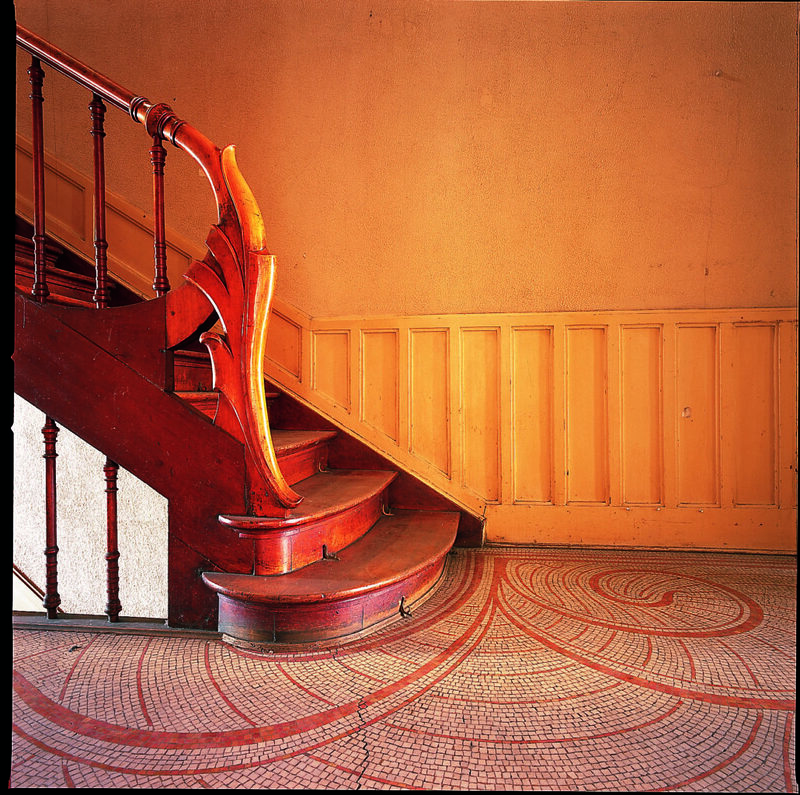 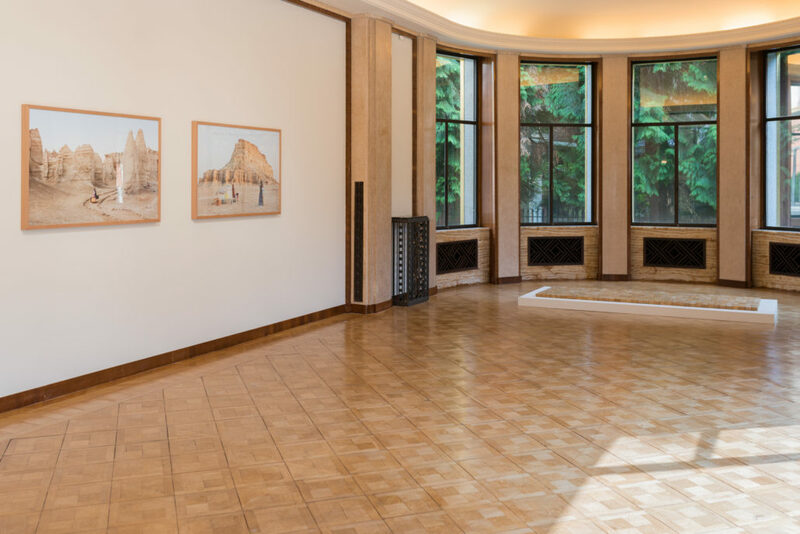 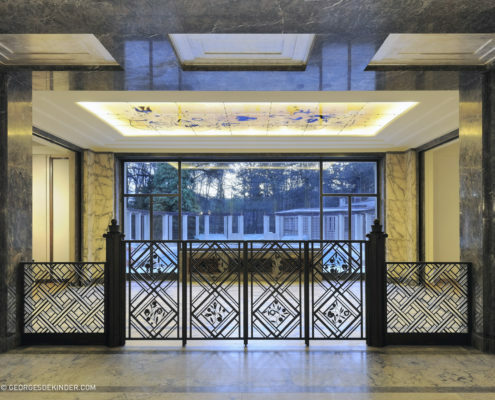 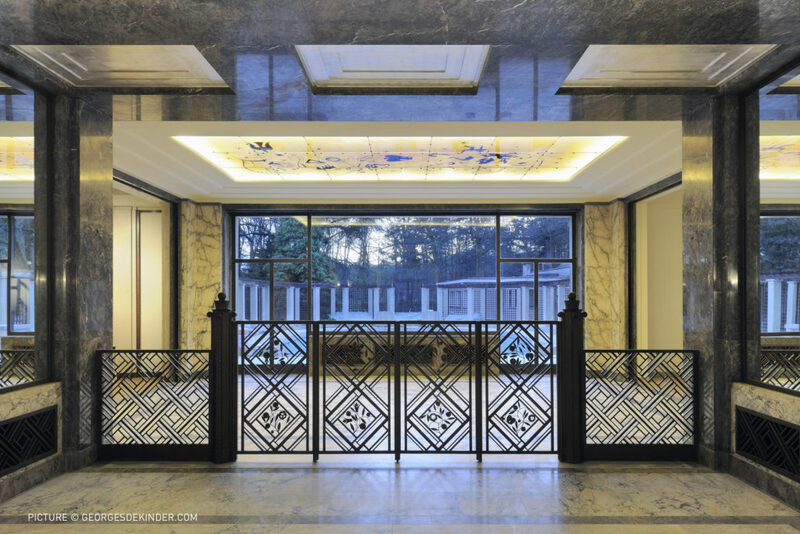 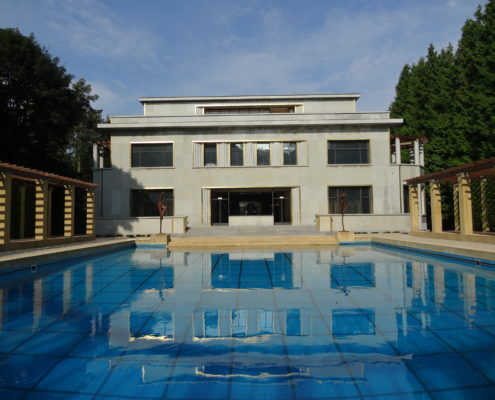 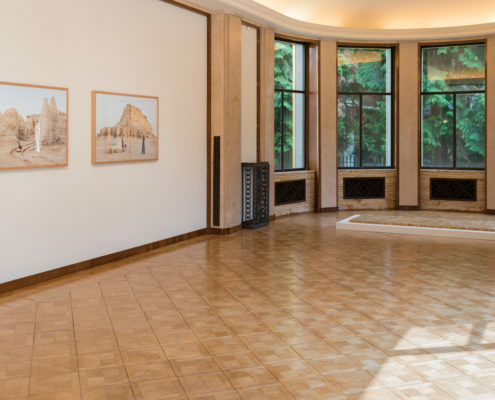 Located on Franklin Roosevelt Avenue, Villa Empain speaks of art deco in Brussels in all of its glory. 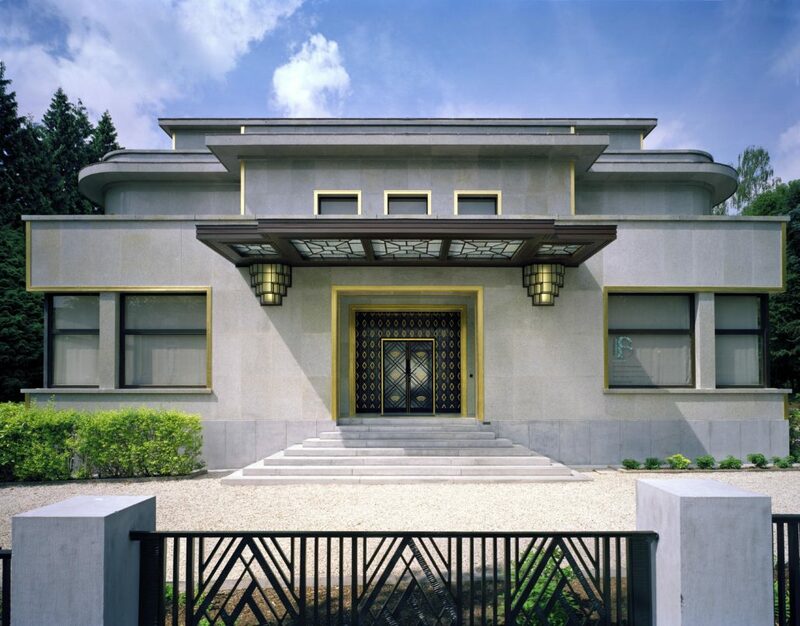 In many ways, the successor of the art nouveau movement, this art deco home was designed by a Swiss architect, Michel Polak, and was constructed between 1930 and 1934. 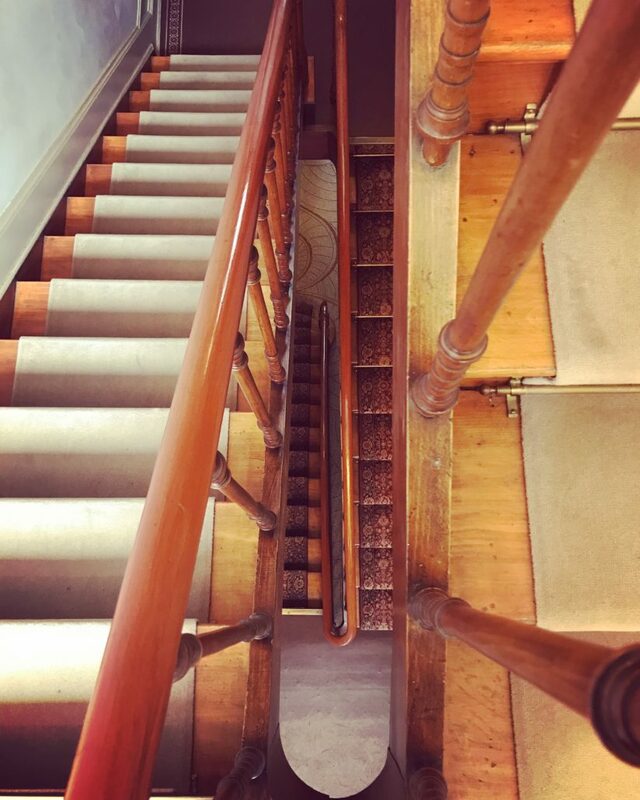 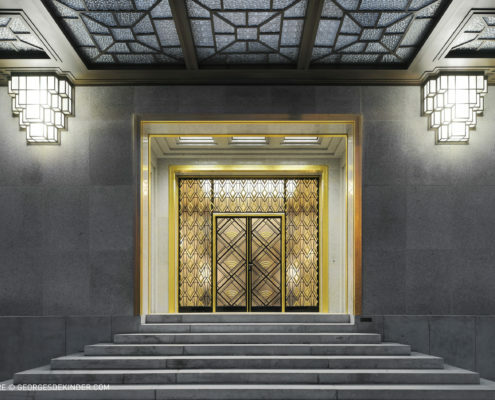 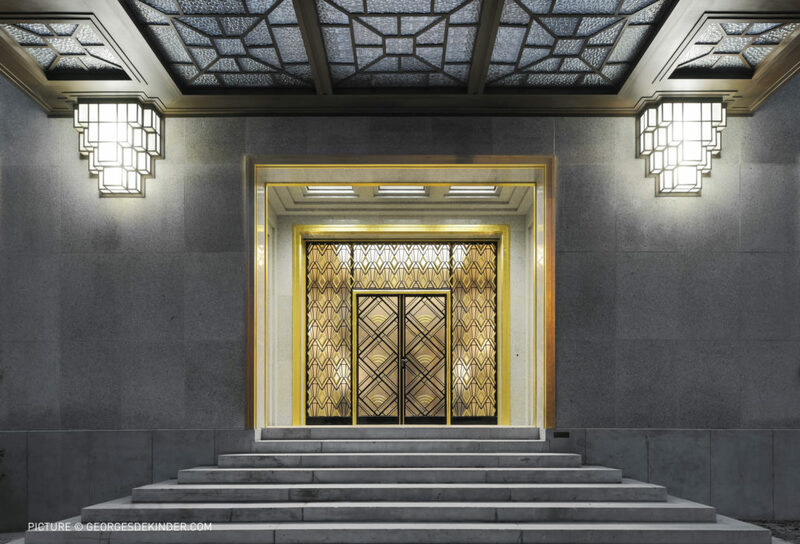 Often considered to be the finest art deco building in Brussels, it takes many design cues from art nouveau and reinvents them for a new generation. 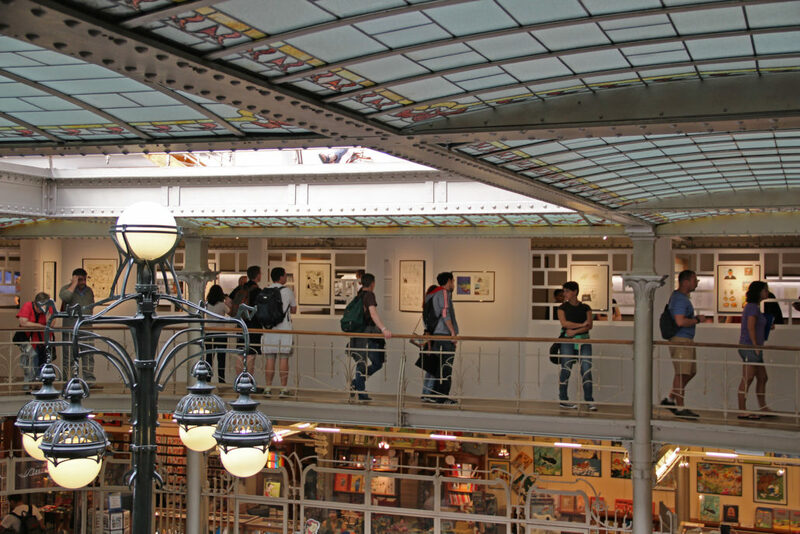 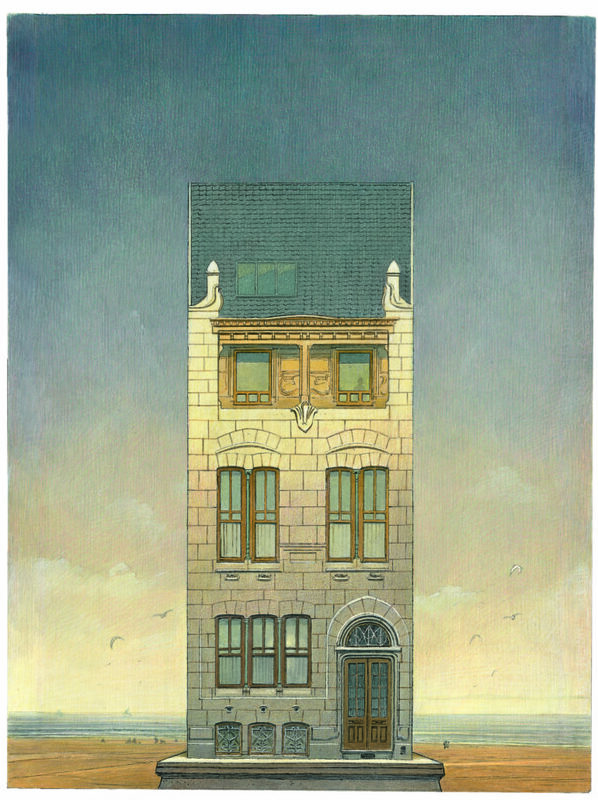 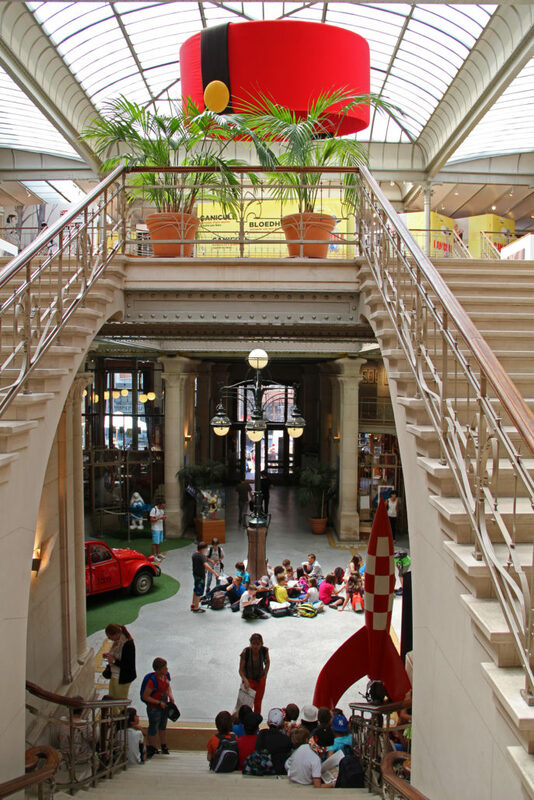 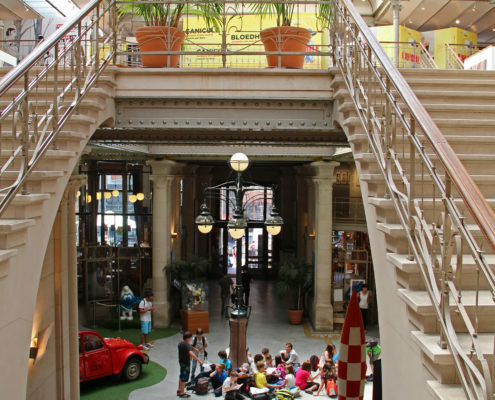 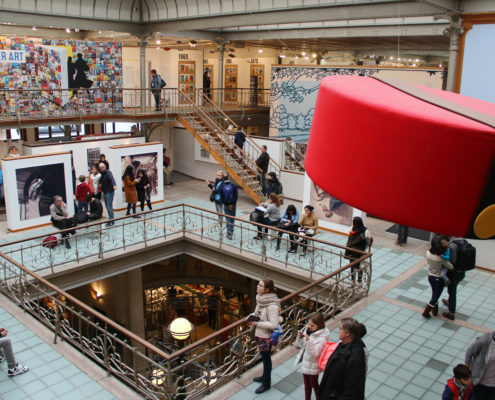 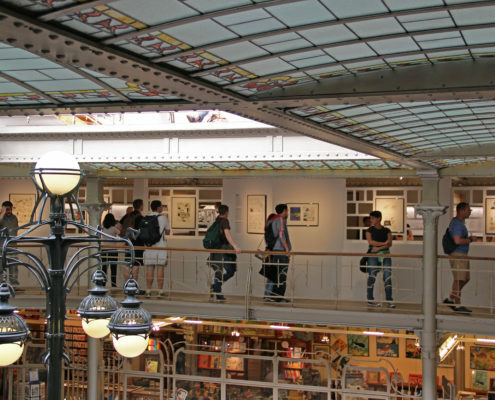 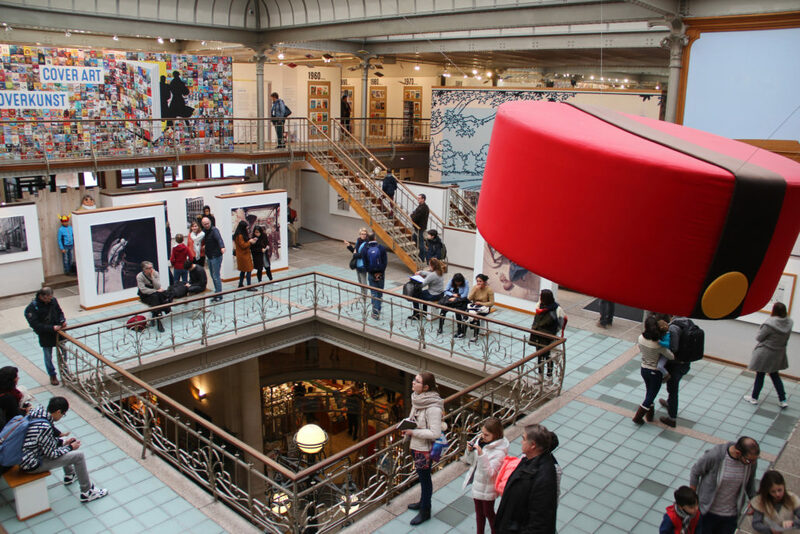 Another of Horta’s designs, the Belgian Comic Strip Centre shows how art nouveau could be put to practical uses. 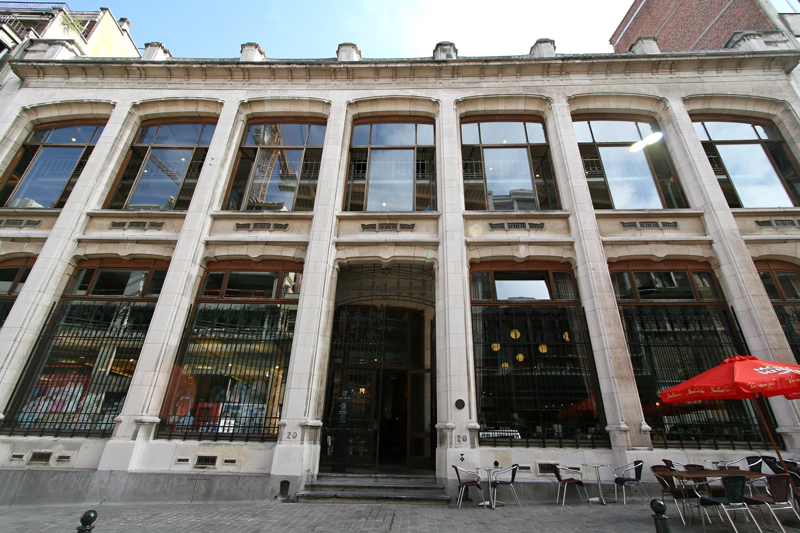 In fact, when it was first commissioned, the building was used as a textiles warehouse. 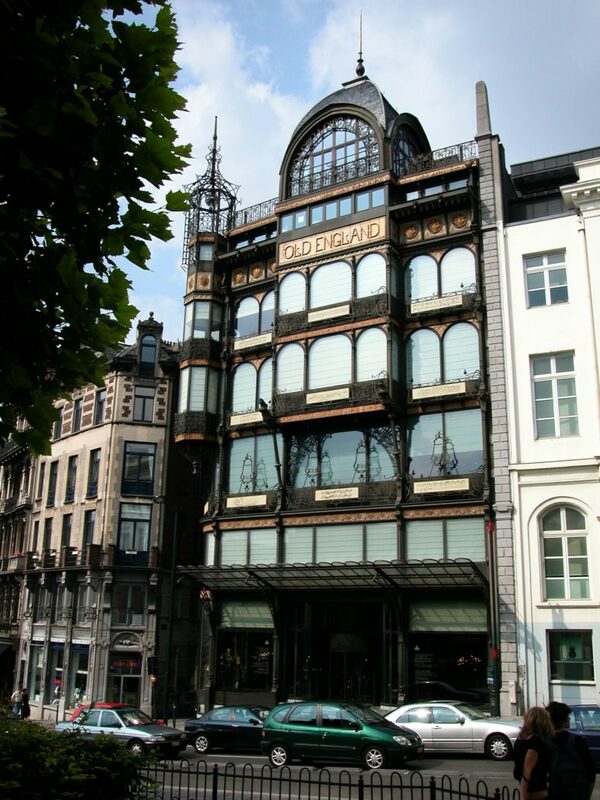 Located in the city centre, this amazing example of art nouveau architecture in Brussels is often overlooked and a visit to its reading room really ought to be on the itinerary of many more tourists. 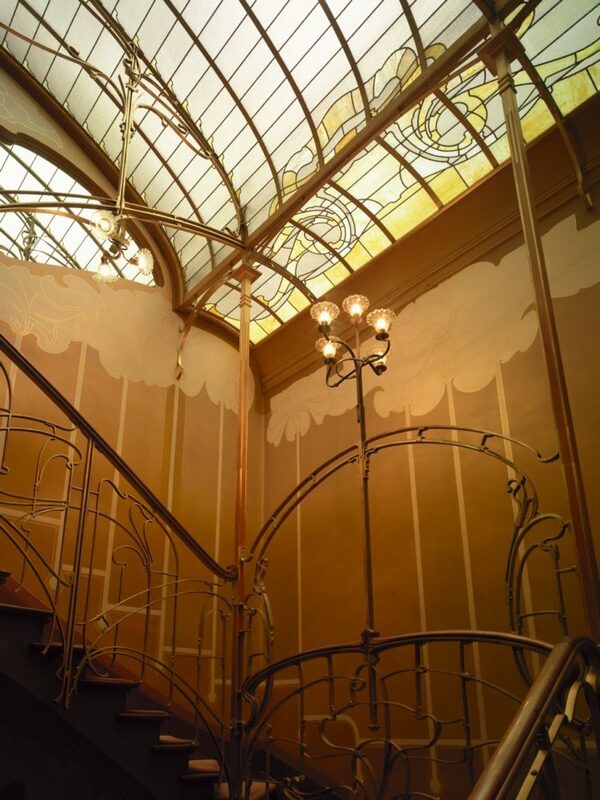 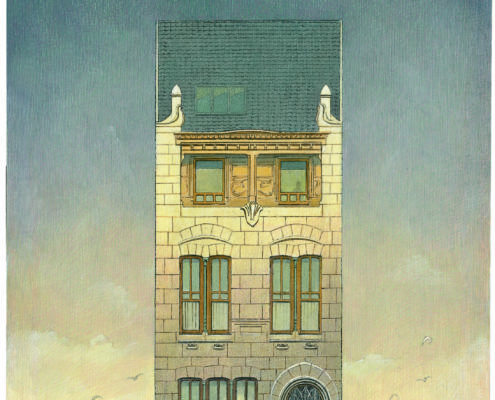 Fans of early twentieth-century architecture will delight in Résidence Palace. 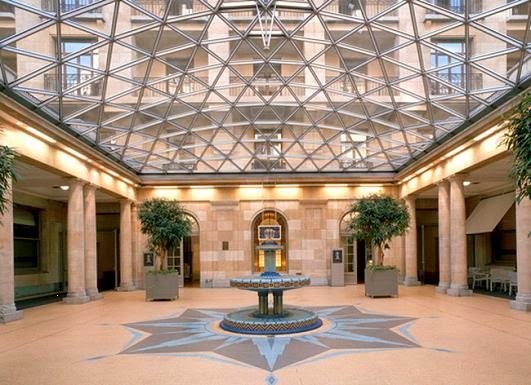 It is surrounded by huge modern buildings, many of them government office blocks. 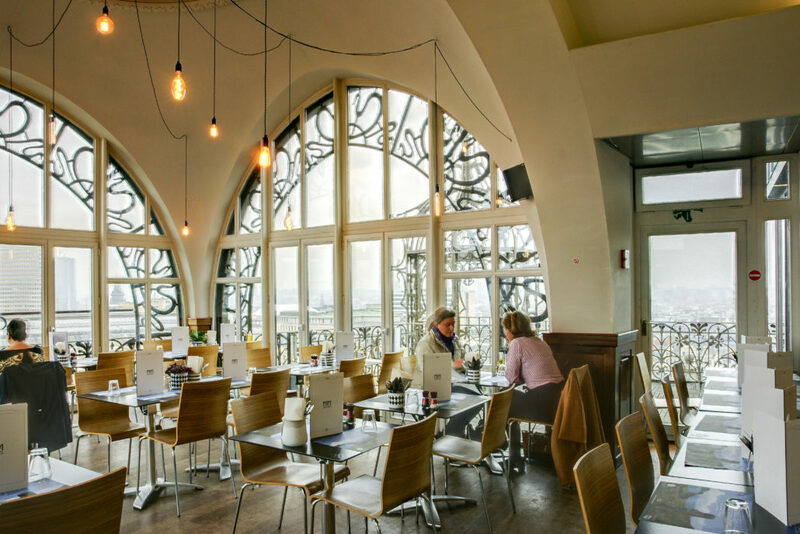 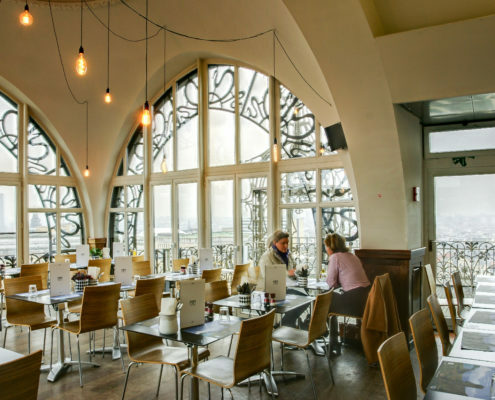 Built in the 1920s, it offers some fine art deco decorative touches along with a rather good brasserie. 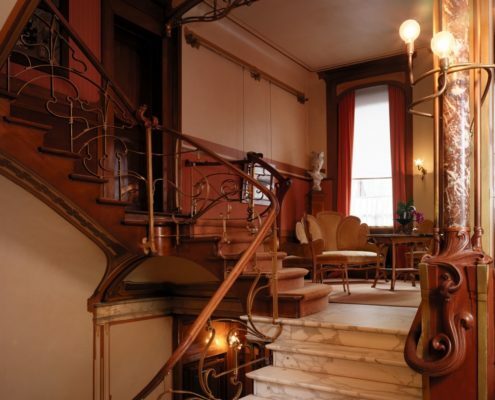 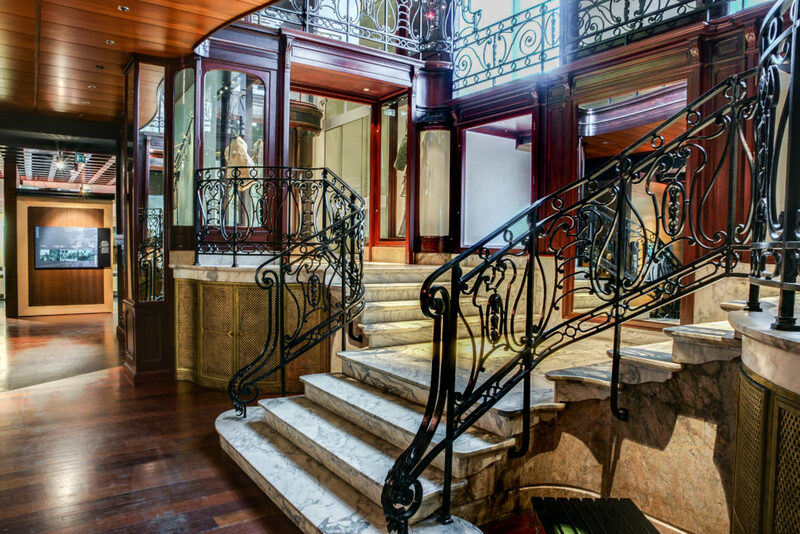 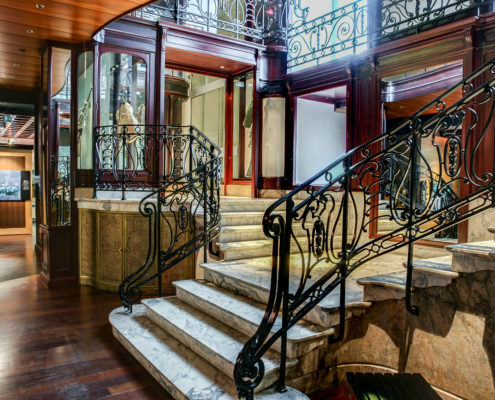 Commissioned as a private residence, this art nouveau home was built in 1897. 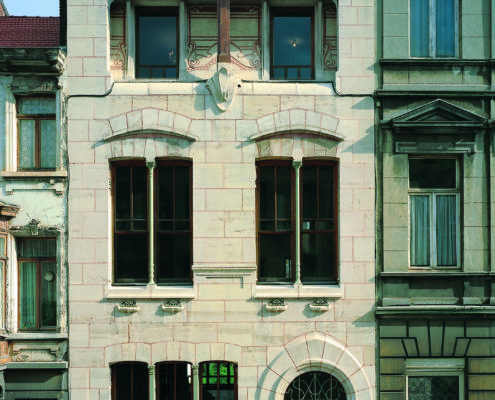 Designed by Paul Hankar, a Belgian architect who innovated the style in many ways, it lies in the Kastelijn district. 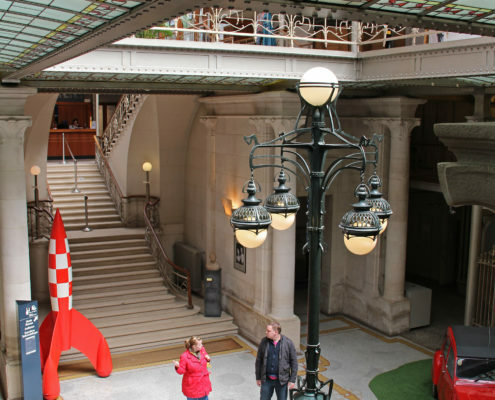 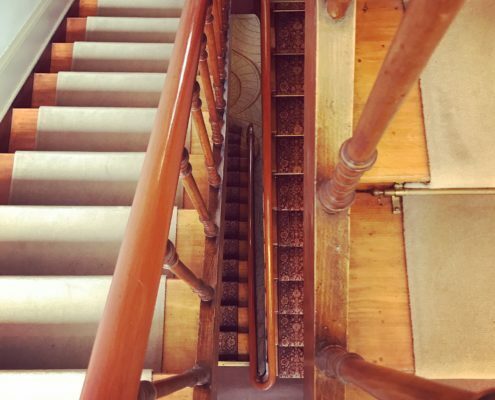 Variously used as a home and a hotel, the building is one of the hidden treasures of the city. 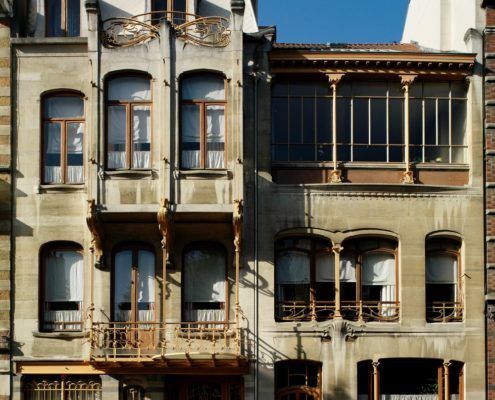 Turned into a museum to the city’s finest exponent of art nouveau architecture in 1969, the Horta Museum was originally the architect’s home. 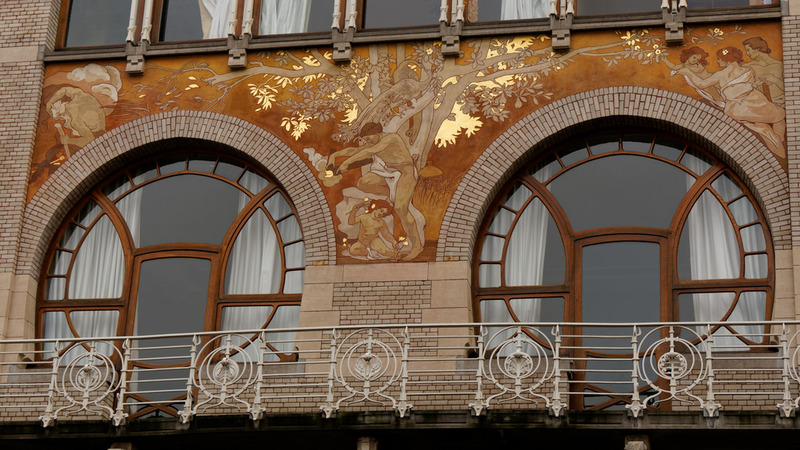 Located on Rue Américaine, this is a must-see building for anyone who has an interest in art nouveau design. 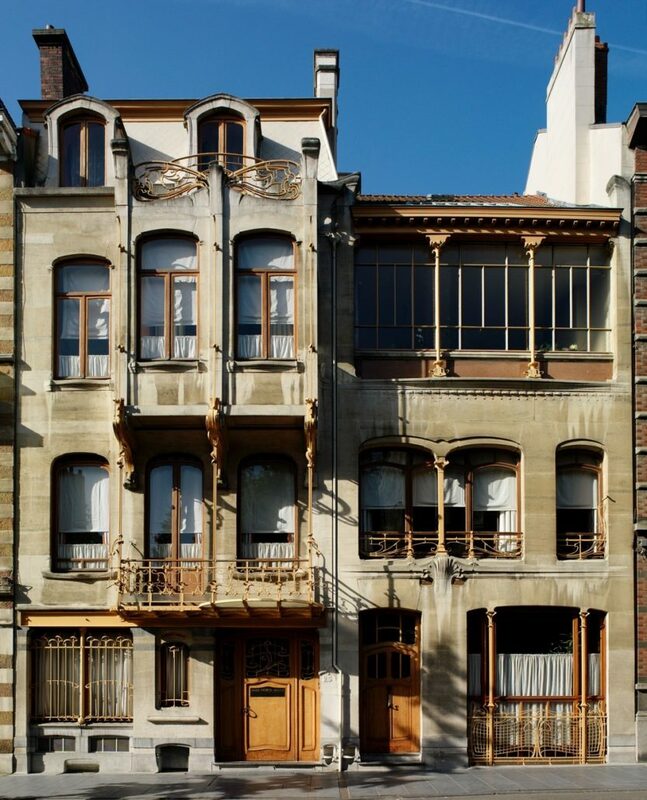 Built between 1898 and 1901, the structure served as both a residence and a design studio. 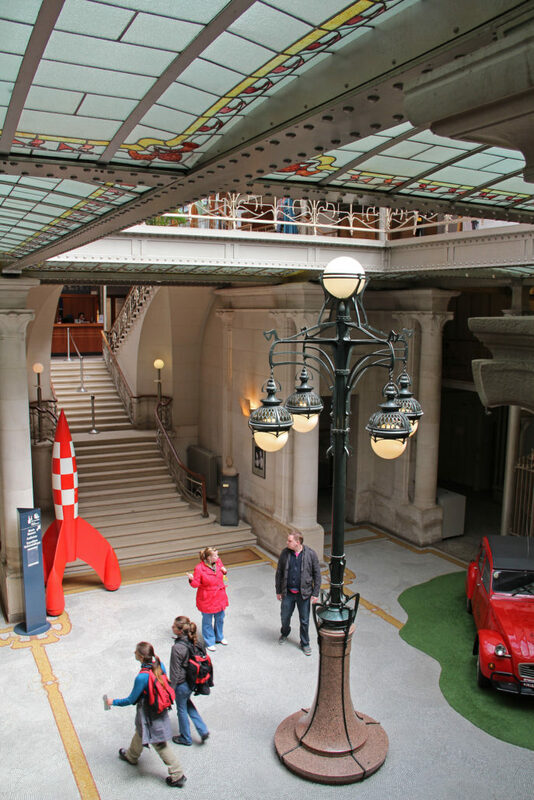 The Horta Museum has a stunning interior which has hardly changed at all since it was first put together. 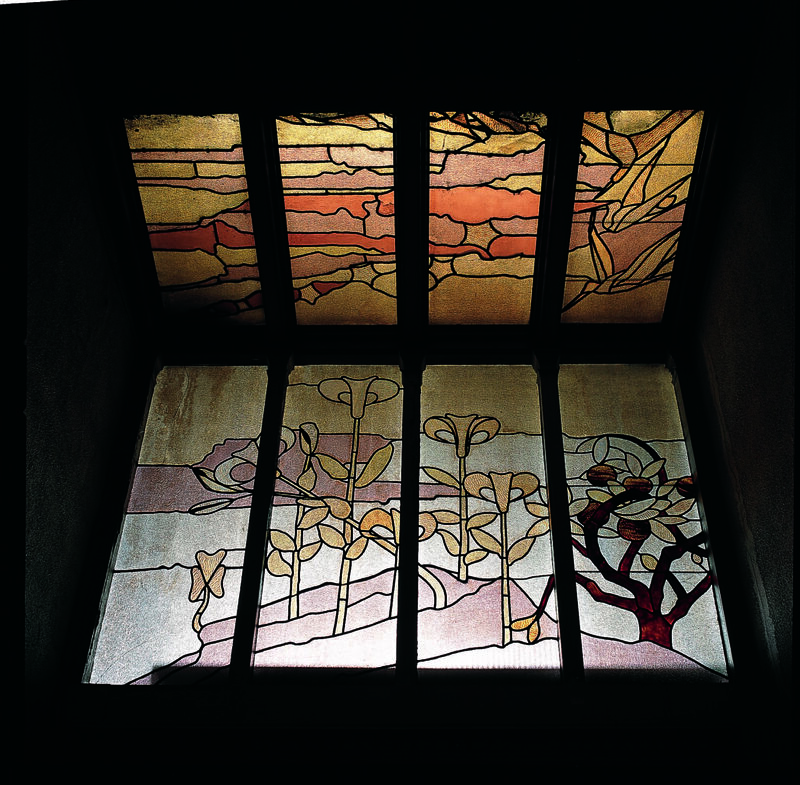 The skylight at the top of the building is a particularly attractive sight.